When you’re short on time and working to communicate your idea, you have to put a lot of intention into the information you do and don’t share. That’s why we thought we’d provide you with a step-by-step analysis of a company that did it well from GiveBackHack. 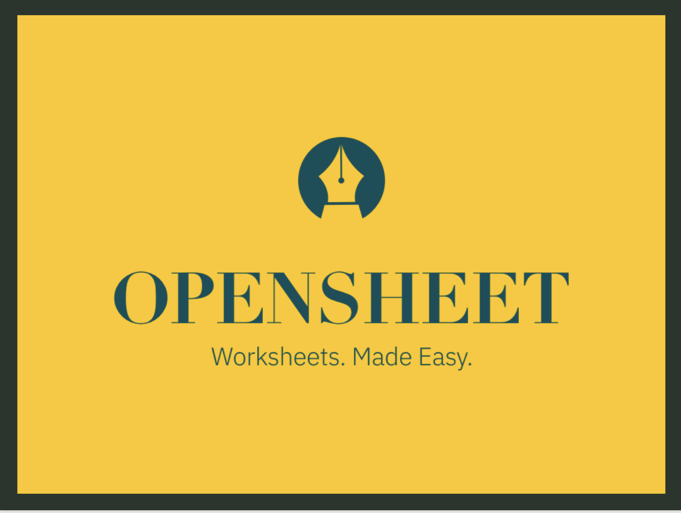 Below, you’ll find the pitch from OpenSheet – a GiveBackHack Columbus 2018 winner. After the Sunday night presentation below, judges awarded their team $7,500 to help them test their riskiest assumptions as they move forward with their product. Follow the tips below to kill it at your next pitch! When digging in here, we recommend viewing this in two screens at once: this blog post & the YouTube video of the presentation itself. 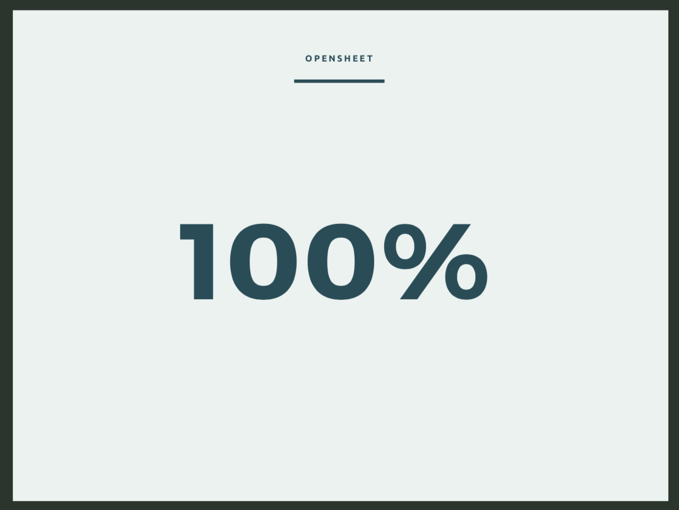 The magic the OpenSheet team pulled off was the design of their slides and the information included (or strategically not included), alongside how they delivered the information. This slide is clean & engaging. The concept has a name that is relevant and will stick with you after the presentation. There is also a tagline that provides a specific, easy understanding of what the product is and does. This is a great introduction slide. Alex starts off by introducing himself, which is important, but he also doesn’t waste time here. He then moves into audience participation. This engages the audience in front of him to get them to wake up, pay attention, and feel a part of the presentation. This is important, especially in a pitch event, because your judges or audience may be sitting through quite a larger number of presentations that may have them zoning out. The question he asks is easy to answer (which creates a low barrier for participation and engagement) and demonstrates the ubiquity of the problem he is working to solve with his product. When many people raise their hands, he takes this as a moment to further reinforce his point (“oh wow – that was more hands than I expected.”) and works to even add in a bit of humor, which further engages the audience and creates likability. If I like Alex, I want him to succeed and I’m more likely to take steps to help him succeed. From there, Alex proves his own legitimacy through a story that many folks could relate to: he is married to an individual who faces the problem his product is hoping to solve. Again, a bit of humor, too. Not only that, but he has experienced the problem firsthand himself! This established more legitimacy for Alex and team: they get the problem and are therefore the ones to solve it. After providing the qualitative story of the problem and positioning himself as an expert on it who has experienced it firsthand, Alex digs into larger scale quantitative data to prove the problem in the market. He uses a brand we recognize and trust: Teach for America. He also clarifies their survey was done on a large population (n = 8,000), which is a large enough sample size for us to trust. This data goes on to prove the need in their large market outside of their own (limited) firsthand experience (which is an n of 2). He then digs into the survey of 50 that he and his team did firsthand, positioning them as the experts on this problem as well. He is proving here that they have dug into this and understand the need. From there, he touches lightly on competitive products and/or solutions. He references Microsoft Word and another site: Teachers Paying Teachers. Please note: Alex and team could have provided an additional slide to go through this information, but they did not. Instead, they made a very specific choice to stay on this slide. They made this choice because they knew they had a finite amount of time to communicate a large amount of information to their audience. With that, they had to make choices and trade-offs. The trade-off they made here was focusing in on the data around the problem. They identified that this was the area they really needed their audience to understand and spent some time here. Alex spoke to the other important pieces but kept the slide simple. This slide was intentionally made to be simple and reinforce the point he is making: 100% of people want this solution. Please also note that in the previous slide, he referenced that they surveyed 50 people to get to this number. If your n is not large enough (or not communicated at all), a savvy judge or audience member may call BS on your data. Now that we understand the problem well and the solution at a high level, we have the right foundation to begin to dig deeper into the business need. Please note: at this point, Alex and team are a minute and 37 seconds into their presentation – they are literally over a third through with their allotted time and they have barely addressed the solution they’re there to talk about! This is a great move. They took the time up-front to focus in on the need in the market. They ensured you had a solid (though concise) understanding of the customers and their needs before presenting their solution. Without this solid understanding, a savvy judge will spend a lot of time during the solution presentation piece wondering if the product is something that people even want. In this presentation, we’re no longer wondering: we’re bought in and our minds are clear to move onto the next task at hand. Now that you understand the problem customers face, Alex introduces the specific product features that alleviate the pains and create gains for the customer we now all know well. Alex then makes a comparison: “think about a library, but for digital worksheets”. This is incredibly powerful because it says a lot in a few, simple words. We all know what a library is and can therefore easily make assumptions for how their product could function or even expand. Now that you have an understanding of the problem & solution, Alex digs into some of the details: how big is the market? If a problem exists, but only for a small group of people, is a company able to pull in the dollars they would need in order to justify the investment? Is the impact large enough? Again, this slide is intentionally made simple: it’s one large chart that could clarify “within the United States”, but instead, they spoke to that. This kept the slide clean and easy to read/understand. 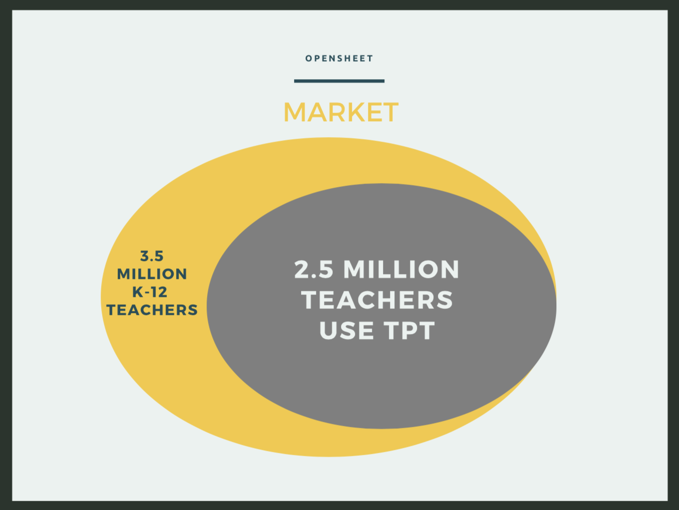 After clarifying the market size of 3.5 million, he then goes on to leverage the data from the current market to prove his market: 2.5 million of those teachers already use a competitive service (like Teachers Pay Teachers). This is great for Alex and his team because the data provides proof that the need is great here (customers are actively looking for and using solutions in this space) and over 2/3 of the current market is already savvy enough to be leveraging technology to find a solution. Even with a large market, if that market is not ready to adopt the technology or service you provide, it can be a tough path to market. However, Alex could have also just brought up a concern: the competitors are strong here. 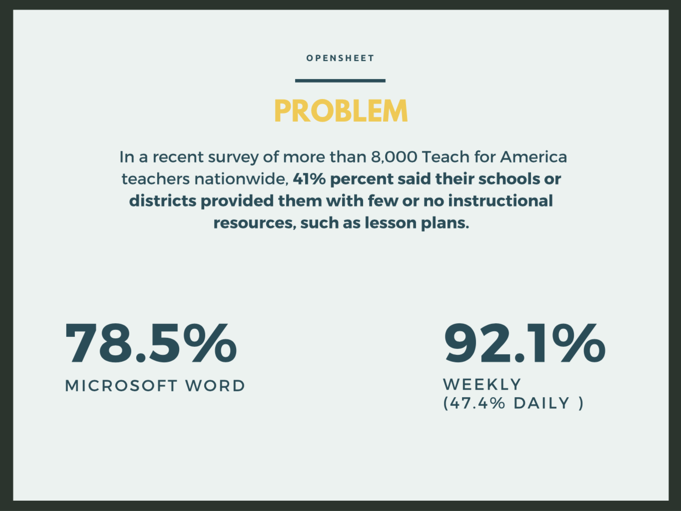 2.5 million customers means Teachers Pay Teachers is probably doing something right.. so how will OpenSheet compete? A design note: these two circles are probably not to scale (the grey representing 2.5 million and the yellow representing another million). Why? Because it doesn’t matter for their presentation. We get the point, so don’t spend too much time agonizing over the details. Focus on the impactful pieces! Alex then takes the next slide to address concerns and dig deeper into how the competition is not currently serving the needs of the large market. Not only does this address business model concerns, but this discussion is also leveraged as an opportunity to further describe their product – he is introducing additional features not previously discussed, which is a great use of time! Now Alex and team dig deeper into specifics with their plan by starting to address their monetization strategy. They don’t state outright that this will be a Freemium Model, but we get the idea very easily from the description. 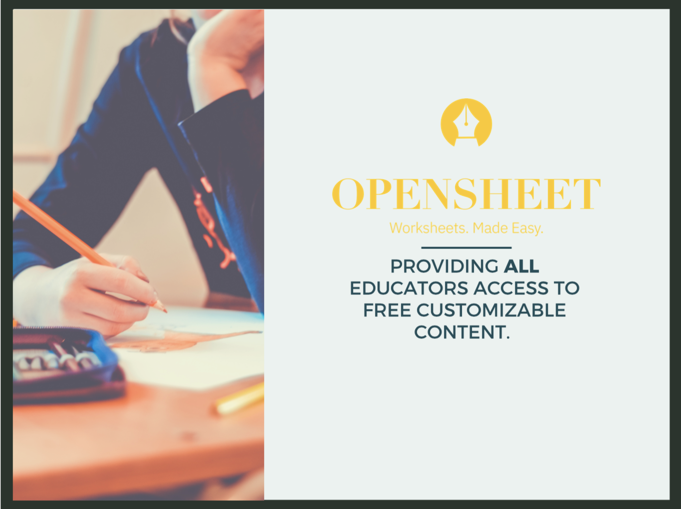 A vision is shared that demonstrates they have thought deeply about creating a clever user acquisition strategy: teachers can come to the website and get started solving their problem right away. A common mistake in new product development is putting up walls to your users (like making them create an account or pay you) before they receive value. A product-savvy judge will be impressed by this level of detailed thinking. On the premium side, Alex shares a single feature, but you can see that there are additional advantages to Premium within his model, including the ability to save your work. 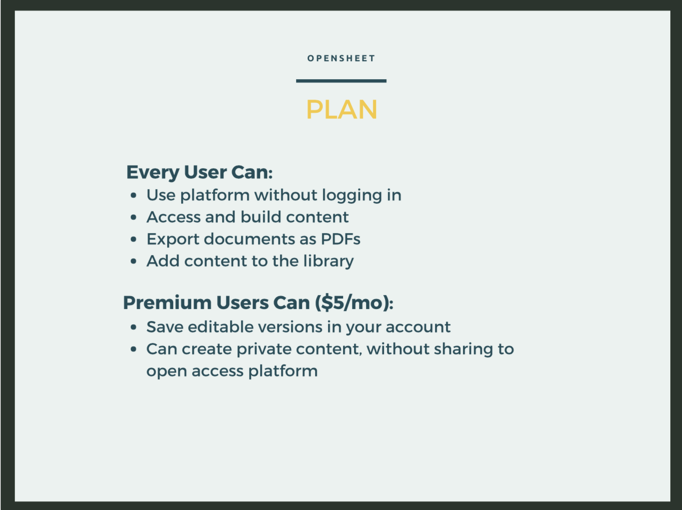 As someone looking at this presentation after-the-fact, it feels like this may have been the more compelling functionality to share (as it feels as if it would create more value that someone would be willing to pay for), but calling out the other one does open up the opportunity for comparison. Alex creates a placeholder slide for his demo so he ensures that he stops at the proper time during his presentation. This is a smart move! 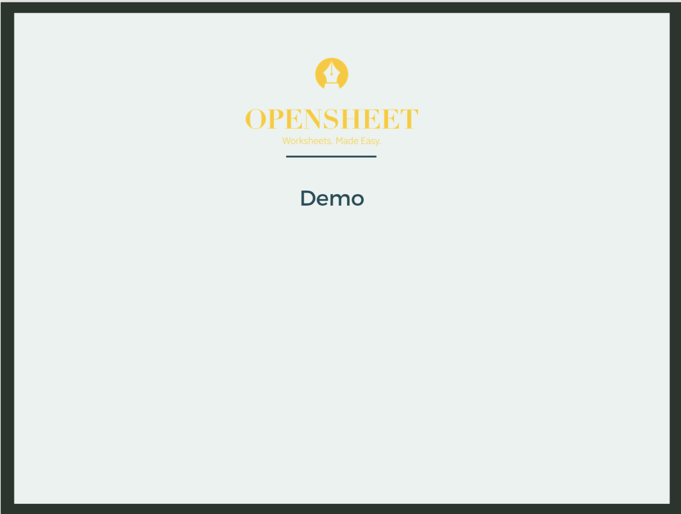 He has his demo set up and open on his computer in a way where he can easily switch the application he uses for the slides into the application he uses for the demo. The process of switching between technology is usually quite cumbersome and quite prone to failure. Switching between technology is always a risk, which means you must practice it in advance on your machine, as well as within the setting you will be presenting in order to reduce your chances of issues! Even when you practice, issues still happen. 1) the person gets flustered. They can’t get the tech figured out and they lose valuable presentation time. They also likely lose their place and even when they recover and get the tech working, their presentation suffers. 2) the person takes the issue in stride, possibly even making a joke about it. They continue to speak through the issue and make their points (this is much easier to do if you practice!) regardless of whether or not they have the visual to match their points. This proves to the judges and the audience that you’re good under pressure, an incredibly valuable skill to have as you bring a new product to market! However, demoing your MVP or prototype is still incredibly valuable. Without a demo, the audience is left wondering whether or not you have the technical expertise to get the job done. A working demo does not prove that you do have the technical expertise, but it is certainly much closer than not having a demo at all! Moreover, a demo or prototype is something you can put in front of users and get their reactions. It’s much easier for a teacher to see the process and point out what he or she would need than it is for them to just speak to it. Alex then calls out that the MVP being demoed was built over the course of a weekend. This encourages the judges and audience to think: “wow – if this is what they can do in a weekend, what could they do with more time or resources?”. Alex moves quickly through the technology, but it feels like the full functionality is there. This is where Alex & team provide further context on the business case: not only is there a Freemium Model for teachers, they also have a strategy to sell to larger institutions with greater functionality. Ideally, there would be more depth here, but the clapping is the signal that he is out of time, so this was likely a strategic decision. They didn’t have time to share more, but what they did share was quite impactful! Inviting the judges to ask questions is a great way to get judges to ask you questions. That might sound silly, but in spite of being directed otherwise, some judges will still share comments or opinions about the innovation, which does not provide you with the opportunity to share additional information on your case (though feedback is incredibly important, this is not the place for it). In a short pitch, you won’t have time to communicate everything you would like to in regards to your product, so it’s incredibly important for you to use the Q&A time to further describe your product. By prompting for questions, you’ll be able to answer any wavering doubts judges have; if you don’t answer those questions, they’ll end up being used as points of doubt during the judging process that could impede your opportunity moving forward. Pro Tip: some teams will have a slide that says “Questions?” at the top and underneath, something like “Ask Us About…” with a list of topics below that they are excited to speak to (maybe these topics are ones they wished they could fit into their presentation, or simply included to encourage judges to stay on a track of asking questions the team is prepared for in advance). A judge in the background digs into their user validation: she has correctly identified that they presented data on just one type of customer (teachers) and she did not hear information about the rest. As a savvy judge, she knows that for any product to be successful, you must have a strong understanding of the needs of all stakeholders. 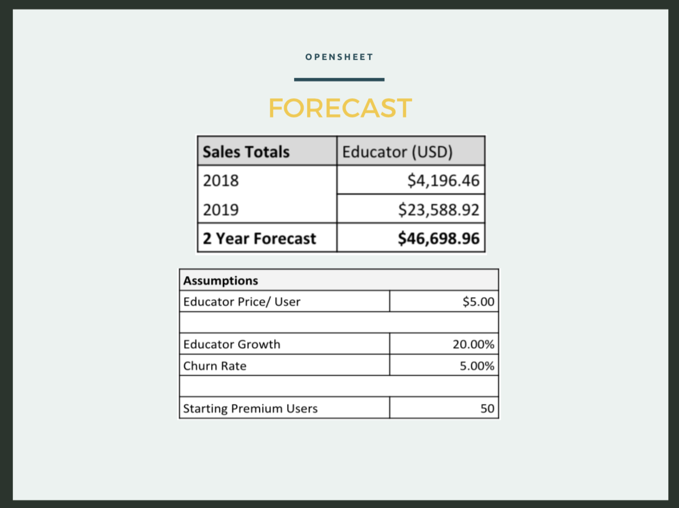 In particular, for OpenSheet, they had an entire slide indicating they hoped to sell to other stakeholders (like School Districts), so how could OpenSheet know that their product addresses a problem Districts would pay to solve without talking to them? How would they know what price to charge? The full team is on-stage presenting, which made it incredibly easy for the team lead who dug into this area speak up and answer the question. If it was only Alex on stage, he may have felt the need to fumble through answering the question, even though he was not the expert. The team lead in this area goes on to answer: you can tell right away they didn’t do the validation and don’t have the best answer for the judge. However, the lead goes on to describe what they were able to do and clarified the very short amount of time they had to do it (which we could view as reasonable), before acknowledging that they were unable to reach out to that group. The lead then also acknowledges that they agree this is an important step and that it is in their plan. This is an ‘Appendix Slide’. It’s likely that they wanted to include this in the original presentation, but it was cut to make time. That being said, they did not throw it away! They kept it as a reference point in case the judges asked additional questions around this topic. 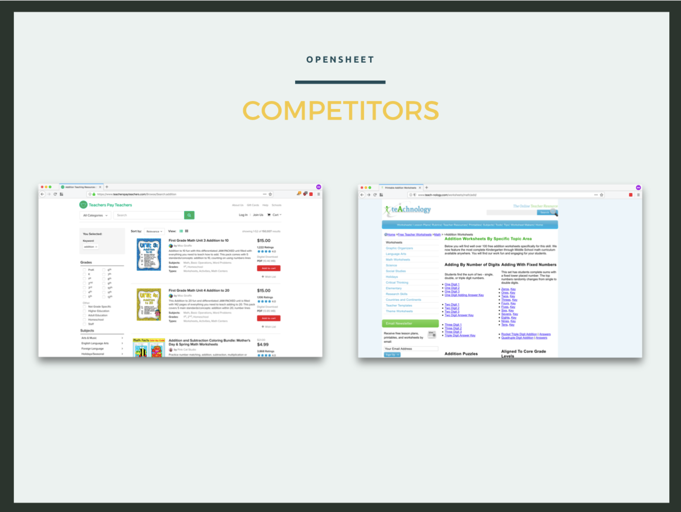 Calling out specific competitors is important and valuable: it demonstrates that you have a strong understanding of the space and that you have thought about product positioning, which is incredibly important, especially in a crowded market. Again, this Appendix Slide was kept as a reference point in case the judges asked additional questions around this topic. Testimonials are a great way to share the voice of your customer or stakeholder to reinforce points. Remember – it doesn’t matter what you think or want. You are just one person. It matters what your market as a whole wants and hearing the information directly from a stakeholder that you interviewed is incredibly valuable! In this case, testimonials are used to demonstrate that the competitors are not providing a full solution (#1) and that the need for a solution is high (#2). Acquiring 50 premium users feels reasonable for the first year. If this was higher, you may have some additional questions about whether or not they truly have the right plan in place in order to accomplish the goal. If the goal was 1,000 – for example – then it would beg additional questions: What is your user acquisition strategy? What will it cost? A growth rate of 20% may also seem reasonable. Acknowledging that not all users who leverage the product will be lifetime users by estimating a churn rate of 5% also proves the team is thinking about the details, without overwhelming you with all of them in this slide. This is a slide that very much should have been in the core presentation. It includes a lot of important data for their business model – and while this presentation did an impeccable job of telling the story and helping us understand the needs, it did not have enough data. This presentation does an impeccable job at identifying a problem and proving to an audience that the solution at hand is the right next step. However, the presentation is a bit light when it comes to the business model and product execution. Remove a bit of storytelling and create 1-2 slides that are very data heavy. They will not have the same simple, easy feel as the rest of this deck, but that is okay. Do NOT speak to every fact and figure out the slide. Instead, pick the most important piece of data and provide an overview of that. As long as you prove throughout your presentation that you know what you’re doing and you have gone through the proper steps (and not just making it up), you won’t need to do that for every product feature or data point on these more robust slides – the audience and judges will believe you. These slides will not be a great experience for the audience – they will not get the opportunity to read or understand every piece of information included. The audience will spend their time reading while you explain the most important information, so don’t expect them to even walk away with a strong understanding of what you presented. However, these slides are meant to do something else: prove that you have done the research and put the time into truly understanding the depth of your project. As long as you don’t give them a reason to doubt you elsewhere, the judges and audience will see this information as a signal that you’ve done the work, there just isn’t enough time to present it all. That being said, ensure that you can speak to it if it – this information is the perfect candidate to come up in the Q&A. 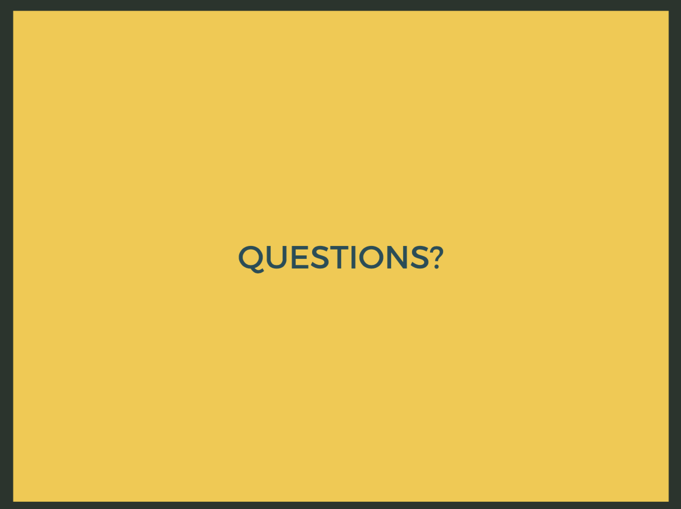 If it does come up, ensure you click back to that slide so you have the visual while you explain the answer to the question at hand. More appendix slides would be advisable here. Having more in-depth information that you can reference for judge questions not only aids you in your answers, but it also helps prove your legitimacy. You’re only going to have so much time to present, but that doesn’t mean you’re limited in how you show your work. For example, when this team was asked about a demographic group they did not survey, they still could have clicked through to a slide that provides a more robust overview of all that they *did* accomplish in such a short amount of time. 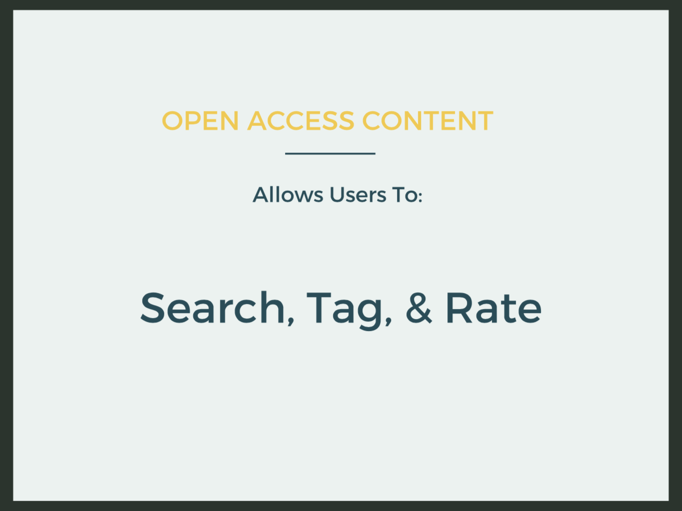 Having additional Appendix Slides also provides you with the opportunity to provide strong legitimacy as you click through a set of slides with robust information. Even though you’re unable to dig into them and tell the story, this sends the signal that you did do a large amount of work that can be further discussed, if only there was time!